F-10 Object radio-controlled mine – FOP Shvachko V. V.
In 1923 – 1924, the Special technical bureau for military inventions of special purpose (Ostekhbyuro – local abbreviation) has started the works at creation of the radio-controlled mines in the Soviet Union. The first specimens of devices for manage of detonation of fougasses at distance were given the name “BEMI” – according to first syllables of the names of authors – developers of mines V. Bekauri and V. Mitkevich. Action of devices was based on the low-frequency selection with using of the special resonator relays at receivers, which respond only at certain combinations of frequencies. These devices were supplied with the F-10 code to the army units. In 1929, the F-10 devices were taken by the Red Army. In 1932, the world’s first separate company of special purpose, equipped with the F-10 devices, was created as part of the Special Far Eastern Army. Till the summer of 1941, the separate companies and platoons of special mining were at Soviet engineering troops, had the F-10 devices in service to explode fougasses at the distance. F-10 unit weighed about 16 kg. The kit also included a rechargeable battery weighing 18 kg. F-10 unit can be operated up to 40-60 days and it was designed for mining the most important objects: the railway and highway bridges, dams, major sections of roads, large buildings. June 22, 1941 war broke out between Germany and the Soviet Union. Germans rapidly advanced into Soviet territory. Soviet special mining company, which operated on the Northern front, established several radio-controlled bombs as early as July 7, 1941. July 12, 1941 three fougasses (with a charge of 250 kg each) were blown up (from a distance of about 150 km) in the buildings of the Strugi Krasnye village. This was the first case in the world of combat use of the radio controlled bombs. The use of the F-10 Object radio-controlled mines was most destructive autumn of 1941 in Kiev (at the time – the capital of the Ukrainian Soviet Socialist Republic consisting of the Soviet Union). Engineering units of the Soviet 37th Army in conjunction with the units of the NKVD (People’s Commissariat of Internal Affairs, NKVD – local abbreviation) began a large-scale mining of Kiev for a few days before the occupation of the city by German troops. Within a short time the electric power stations, water supply, railways, bridges across the Dnieper, office buildings and homes had been mined. In particular, the mines were installed in the building of the CK KP(b)U (Central Committee of the Communist Party [Bolsheviks] of Ukraine), the NKVD, the State Bank, the Opera House, the Museum of Vladimir Lenin (building of the former Pedagogical Museum, the Central Rada [Parliament] at the time of the Ukrainian People’s Republic), the Assumption Cathedral of the Kiev-Pechersk Lavra (the main cathedral church of the monastery, it was built in the 11th century), the House of Ginzburg (the first skyscraper of Ukraine). Soviet units carried out the mining of Kiev in secrecy. 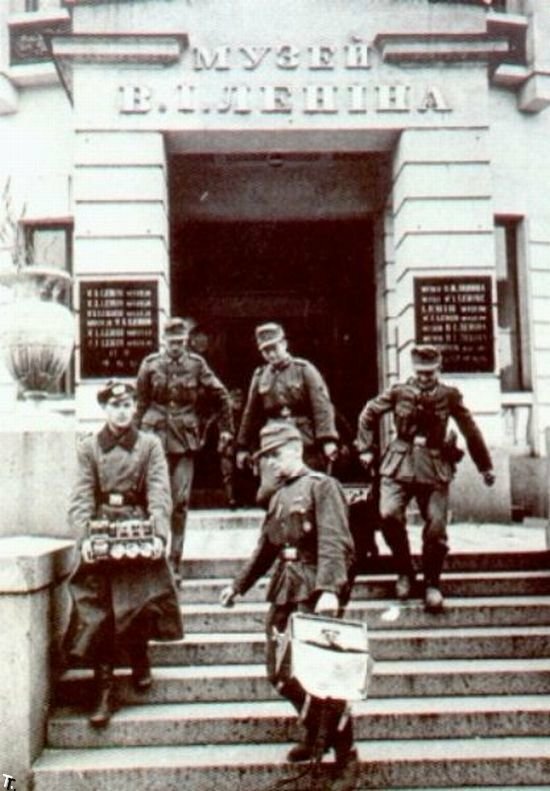 Thus, the servicemen of NKVD carried the explosives in wooden boxes to the basement of the House of Ginzburg under cover of the archives moving. In the night of September 19, 1941 the industrial objects have been undermined by the retreating Soviet troops. September 24, 1941, on the fifth day of the German occupation of Kiev, about 4:00pm, the buildings, which were mined by the Soviet troops, had started to explode on the main street of the city – Khreschatyk, destroying not only the Germans, but also civilians of Kiev. The House of Ginzburg was blown up at about 11:00pm. The explosions, occurred till September 28, and subsequent fires (the main fire lasted during two weeks) were so powerful that the city center was completely burned and it was not restored during the war. The Nazis used the explosions and fires on Khreschatyk as the formal reason for the extermination of Jews at Babi Yar in Kiev (the tract in the north-western part of the city). 29 and 30 September 1941, almost 34,000 Jews were shot there. The mass executions of civilians, Soviet prisoners of war, underground fighters, members of Organization of Ukrainian Nationalists (OUN), hostages and others were held at Babi Yar (and also at Syrets concentration camp near to it) also later, until the liberation of Kiev from German occupation on November 6, 1943. The various publications give different figures the total number of killed at Babi Yar – from about 70,000 to 200,000 people. The German sappers neutralized the part of the radio-controlled mines, laid in Kiev. In particular, 1 ton of explosive was removed from the building of the Opera House, 3 tons – from Vladimir Lenin Museum. However, November 3, 1941, the Assumption Cathedral of the Kiev-Pechersk Lavra was exploded. Discussions about the real organizers, causes and purposes of this explosion continue till the present. Before the end of the war between Germany and the Soviet Union, the 5000 sets of F-10 were produced. 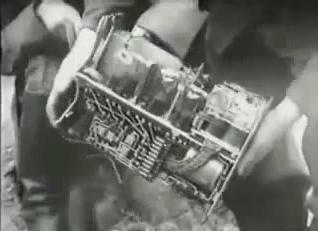 However, the experience, which was obtained at autumn of 1941, showed that radio-controlled mines have very significant drawbacks: the simplicity and reliability of their blocking by organizing of interference, limited time of the battle performance, availability of 30-meters antenna and the sounds of the watch mechanisms are important decamouflaging signs. 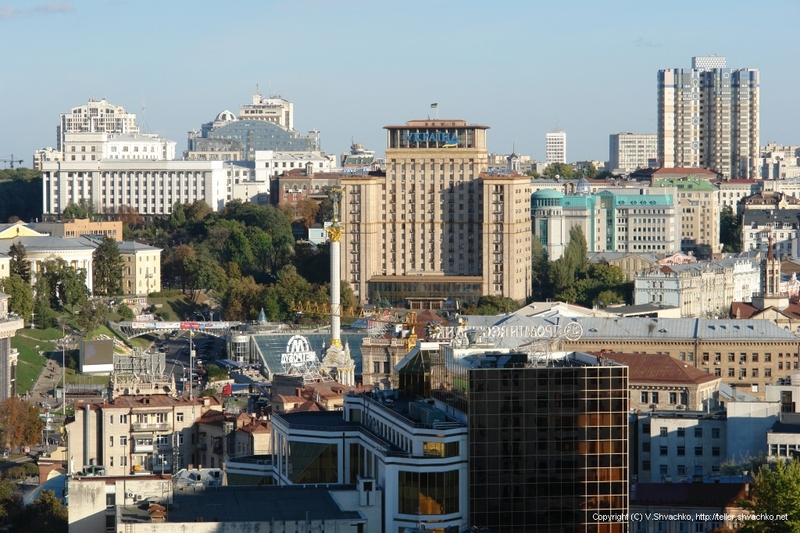 After World War II, it was decided to rebuild the center of Kiev, save the configuration of streets, but the buildings were built brand new. Khreschatyk Street is built up as a single architectural ensemble. Assumption Cathedral remained in ruins for decades and was restored in 2000. Memory of the people who found themselves in the midst of the tragic events of 1941, immortalized in numerous monuments and street names in Kiev. 2. КРАТКИЕ ОЧЕРКИ ИСТОРИИ ВНИИРТ. – Mode of access: http://pvo.guns.ru/book/vniirt/index.htm. 3. ОАО “ВНИИРТ” – главная страница. – Mode of access: http://www.vniirt.ru/. 4. ВНИИРТ. – Mode of access: http://ru.wikipedia.org/wiki/%D0%92%D0%9D%D0%98%D0%98%D0%A0%D0%A2. 5. Остехбюро. – Mode of access: http://ru.wikipedia.org/wiki/%D0%9E%D1%81%D1%82%D0%B5%D1%85%D0%B1%D1%8E%D1%80%D0%BE. 6. Остехбюро. – Mode of access: http://uk.wikipedia.org/wiki/%D0%9E%D1%81%D1%82%D0%B5%D1%85%D0%B1%D1%8E%D1%80%D0%BE. 7. Бекаури, Владимир Иванович. – Mode of access: http://ru.wikipedia.org/wiki/%D0%91%D0%B5%D0%BA%D0%B0%D1%83%D1%80%D0%B8,_%D0%92%D0%BB%D0%B0%D0%B4%D0%B8%D0%BC%D0%B8%D1%80_%D0%98%D0%B2%D0%B0%D0%BD%D0%BE%D0%B2%D0%B8%D1%87. 8. Миткевич, Владимир Фёдорович. – Mode of access: http://ru.wikipedia.org/wiki/%D0%9C%D0%B8%D1%82%D0%BA%D0%B5%D0%B2%D0%B8%D1%87,_%D0%92%D0%BB%D0%B0%D0%B4%D0%B8%D0%BC%D0%B8%D1%80_%D0%A4%D1%91%D0%B4%D0%BE%D1%80%D0%BE%D0%B2%D0%B8%D1%87. 10. Operation Barbarossa 14th and Leningrad 4th film 1941 part 2. – Mode of access: http://www.youtube.com/watch?v=0KC_3IcJnSM. 11. Радиомины // Ю.Г. Веремеев. Глава из монографии “Инженерные боеприпасы Красной Армии”. Объектная мина Ф-10. – Mode of access: http://kik-sssr.narod.ru/Radiomines.htm. 15. Радиомины, взорвавшие Крещатик. – Mode of access: http://www.liveinternet.ru/users/3244445/post197868134/. 16. Память о разрушении Крещатика. Комментарии. – Mode of access: http://www.liveinternet.ru/journalshowcomments.php?jpostid=197993626&journalid=744545&go=next&categ=1. 17. Минирование Харькова в 1941 году. – Mode of access: http://army.armor.kiev.ua/engenear/xarkov.shtml. 18. Минирование Харькова в 1941 году (Приложение 2). – Mode of access: http://army.armor.kiev.ua/engenear/xarkov-pra.shtml. 19. Советская шифровальная служба: 1920 — 40-e. – Mode of access: http://www.agentura.ru/press/about/jointprojects/inside-zi/sovietcryptoservice/. 20. Неизвестная война. Минная. – Mode of access: http://rodonews.ru/news_1297978620.html. 21. Неизвестная война. Минная. – Mode of access: http://www.wazzup.su/other/interesnoe/18807-neizvestnaya-voyna-minnaya.html. 22. МОБИЛИЗАЦИЯ :: 23 ИЮНЯ 1941 ГОДА ::КОГДА БОМБИЛИ КИЕВ !?!. – Mode of access: http://jaga-lux.livejournal.com/159125.html. 23. Kiev. – Mode of access: http://en.wikipedia.org/wiki/Kiev. 24. Київ. – Mode of access: http://uk.wikipedia.org/wiki/%D0%9A%D0%B8%D1%97%D0%B2. 25. Киев. – Mode of access: http://ru.wikipedia.org/wiki/%D0%9A%D0%B8%D0%B5%D0%B2. 26. 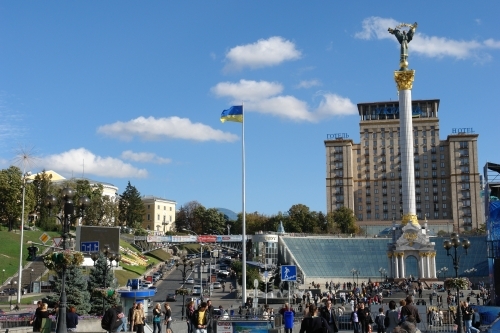 Khreshchatyk Street. – Mode of access: http://en.wikipedia.org/wiki/Khreshchatyk_Street. 27. Хрещатик. – Mode of access: http://uk.wikipedia.org/wiki/%D0%A5%D1%80%D0%B5%D1%89%D0%B0%D1%82%D0%B8%D0%BA. 28. Крещатик. – Mode of access: http://ru.wikipedia.org/wiki/%D0%9A%D1%80%D0%B5%D1%89%D0%B0%D1%82%D0%B8%D0%BA. 29. Battle of Kiev (1941). – Mode of access: http://en.wikipedia.org/wiki/Battle_of_Kiev_%281941%29. 30. Битва за Київ (1941). – Mode of access: http://uk.wikipedia.org/wiki/%D0%91%D0%B8%D1%82%D0%B2%D0%B0_%D0%B7%D0%B0_%D0%9A%D0%B8%D1%97%D0%B2_%281941%29. 31. Киевская операция (1941). – Mode of access: http://ru.wikipedia.org/wiki/%D0%9E%D0%B1%D0%BE%D1%80%D0%BE%D0%BD%D0%B0_%D0%9A%D0%B8%D0%B5%D0%B2%D0%B0_1941. 32. Babi Yar. – Mode of access: http://en.wikipedia.org/wiki/Babi_Yar. 33. Бабин Яр. – Mode of access: http://uk.wikipedia.org/wiki/%D0%91%D0%B0%D0%B1%D0%B8%D0%BD_%D1%8F%D1%80. 34. Бабий Яр. – Mode of access: http://ru.wikipedia.org/wiki/%D0%91%D0%B0%D0%B1%D0%B8%D0%B9_%D1%8F%D1%80. 35. Хмарочос Гінзбурга. – Mode of access: http://uk.wikipedia.org/wiki/%D0%A5%D0%BC%D0%B0%D1%80%D0%BE%D1%87%D0%BE%D1%81_%D0%93%D1%96%D0%BD%D0%B7%D0%B1%D1%83%D1%80%D0%B3%D0%B0. 36. Небоскрёб Гинзбурга. – Mode of access: http://ru.m.wikipedia.org/wiki/%D0%9D%D0%B5%D0%B1%D0%BE%D1%81%D0%BA%D1%80%D1%91%D0%B1_%D0%93%D0%B8%D0%BD%D0%B7%D0%B1%D1%83%D1%80%D0%B3%D0%B0. 37. Файл:Скайлайн 1940-ві.PNG. – Mode of access: http://uk.wikipedia.org/wiki/%D0%A4%D0%B0%D0%B9%D0%BB:%D0%A1%D0%BA%D0%B0%D0%B9%D0%BB%D0%B0%D0%B9%D0%BD_1940-%D0%B2%D1%96.PNG. 38. Файл:176a5fbc54c0.jpg. – Mode of access: http://uk.wikipedia.org/wiki/%D0%A4%D0%B0%D0%B9%D0%BB:176a5fbc54c0.jpg. 39. АРХИТЕКТУРНЫЙ СОЮЗ. История Киева. – Mode of access: http://archunion.com.ua/history/history_008.shtml. 40. История Харькова. – Mode of access: http://ru.wikipedia.org/wiki/%D0%98%D1%81%D1%82%D0%BE%D1%80%D0%B8%D1%8F_%D0%A5%D0%B0%D1%80%D1%8C%D0%BA%D0%BE%D0%B2%D0%B0. 41. Building of Pedagogical Museum. – Mode of access: http://en.wikipedia.org/wiki/Building_of_Pedagogical_Museum. 42. Педагогічний музей. – Mode of access: http://uk.wikipedia.org/wiki/%D0%9F%D0%B5%D0%B4%D0%B0%D0%B3%D0%BE%D0%B3%D1%96%D1%87%D0%BD%D0%B8%D0%B9_%D0%BC%D1%83%D0%B7%D0%B5%D0%B9. 43. Педагогический музей. – Mode of access: http://ru.wikipedia.org/wiki/%D0%9F%D0%B5%D0%B4%D0%B0%D0%B3%D0%BE%D0%B3%D0%B8%D1%87%D0%B5%D1%81%D0%BA%D0%B8%D0%B9_%D0%BC%D1%83%D0%B7%D0%B5%D0%B9. 44. Успенський собор (Київ). – Mode of access: http://uk.wikipedia.org/wiki/%D0%A3%D1%81%D0%BF%D0%B5%D0%BD%D1%81%D1%8C%D0%BA%D0%B8%D0%B9_%D1%81%D0%BE%D0%B1%D0%BE%D1%80_%28%D0%9A%D0%B8%D1%97%D0%B2%29. 45. Успенский собор Киево-Печерской лавры. – Mode of access: http://ru.wikipedia.org/wiki/%D0%A3%D1%81%D0%BF%D0%B5%D0%BD%D1%81%D0%BA%D0%B8%D0%B9_%D1%81%D0%BE%D0%B1%D0%BE%D1%80_%D0%9A%D0%B8%D0%B5%D0%B2%D0%BE-%D0%9F%D0%B5%D1%87%D0%B5%D1%80%D1%81%D0%BA%D0%BE%D0%B9_%D0%BB%D0%B0%D0%B2%D1%80%D1%8B. 46. Файл:kiev_on_war_63.jpg. – Mode of access: http://trinixy.ru/pics4/20091126/kiev_on_war_63.jpg. 47. Киев в годы немецкой оккупации (фото) | Info КИЕВ. – Mode of access: http://infokiev.com.ua/index.php?option=com_content&view=article&id=932:2014-05-12-20-57-40&catid=196:2011-06-18-21-37-46&Itemid=2569. 48. Фото, як виглядав Київ після Другої світової. – Mode of access: http://gazeta.ua/articles/history/_foto-yak-viglyadav-kiyiv-pislya-drugoyi-svitovoyi/573871. 49. Київ під німецькою окупацією 1940-х років – унікальні світлини угорських офіцерів. – Mode of access: http://gazeta.ua/articles/history/_kiyiv-pid-nimeckoyu-okupaciyeyu-1940h-rokiv-unikalni-svitlini-ugorskih-oficeriv/591838. 50. Війна і (майже) мир. – Mode of access: http://www.theinsider.ua/infographics/2014/201506/index.html. 51. Як виглядав Київ 60 років тому з висоти пташиного польоту – фотографії. – Mode of access: http://gazeta.ua/articles/history/_ak-viglyadav-kiyiv-60-rokiv-tomu-z-visoti-ptashinogo-polotu-fotografiyi/643124. 2 Copyright (C) V. Shvachko, 2012, Kyiv, Ukraine. Photo was made from the Bell tower of Saint Sophia Cathedral. 3 Copyright (C) V. Shvachko, 2012, Kyiv, Ukraine.